For additional information about this book, visit the website www.bonnievirag.com. Bonnie, age four, along with four of her siblings, was taken by force from her home in rural Canada and placed in the care of the Children’s Aid Society. Over the next fourteen years, the children are split up and reunited multiple times, moving from foster home to foster home, always hoping to find one another again. By luck or providence, the four sisters spend the majority of their young lives together working on a tobacco farm and living in an attic, where the stovepipe offers warmth, comfort, and news from the outside that they do not receive from their foster parents. Surviving some of the worst torments a child can know, Bonnie and her sisters depend on each other to meet even their basic needs, forming an unbreakable bond. 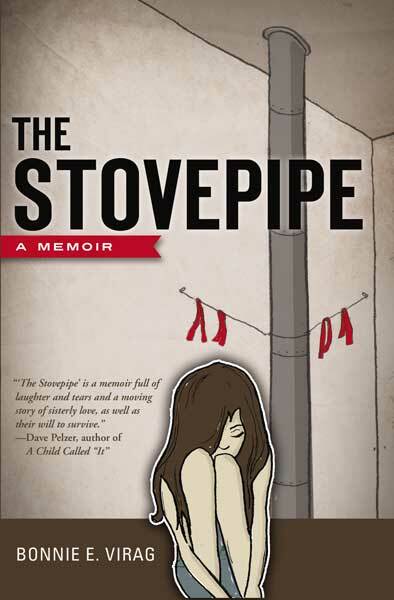 Bonnie Virag’s heartrending yet triumphant memoir, The Stovepipe, recounts the author’s experience growing up as a foster child in the 1940s and 1950s. In an honest, unflinching voice, Virag engrosses readers with not only the darkness that she and her siblings endured but, more important, their ability to join together to create a sense of light. This unforgettable story is informed by Bonnie’s recollections, remembrances from her sisters, and the official records received from the Children’s Aid Society in Canada. This book is not an indictment of the foster care system and its many missteps. Rather, it is a testament to the resilience of the soul and the importance of family, friendship and fortitude.